I love the surroundings of the school, it really makes it enjoyable to come to school here. The teachers are funny and my friends are too! I like it at our school because we do lots of work. I like that it's about the children's rights and not just the teachers! It's safe, fun and you always learn something new. I love it at this school, nothing needs to be changed. Everyone gets treated fairly; the whole school is kind. 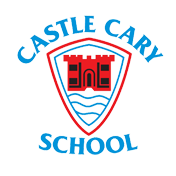 I am very proud to welcome you to the website of Castle Cary Community Primary School. I hope it will give you an insight into our school’s vision through painting a picture of the exciting opportunities offered to our pupils so that they develop into creative, ambitious and intelligent learners.